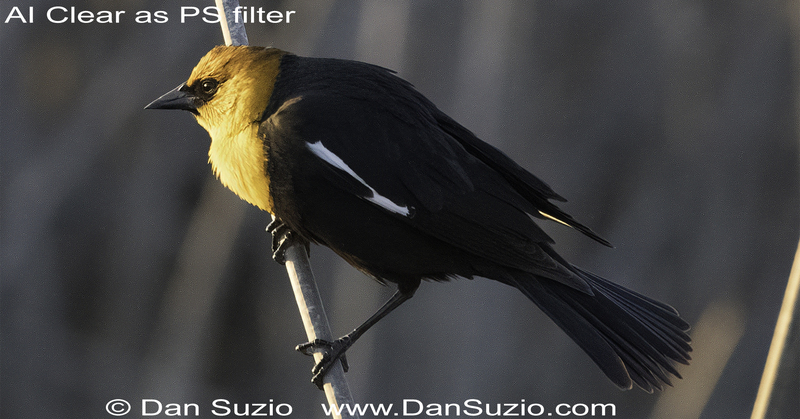 When I use AI Clear, either as a PS or LR plugin or in standalone mode, the image looks good on the screen. But as soon as I return to PS or LR a new pattern appears that's far worse than the original noise. Working directly in Topaz Studio the pattern is less obvious but still there. This sample was shot at ISO 6400. I'm using Photoshop CC Classic 19.1.5 and Windows 10 on a Dell XPS, Intel i7-6700 processor, 16GB RAM, and GeForce 750Ti with 2GB RAM. Would you mind sharing the original file for some testing? I'm not from Topaz, but would like to give it a go. You can upload the file to a file sharing service and share with me , if you do just repost the link here. Also generally AI clear isn't meant for images with strong noise, so that may explain the results somewhat. Despite what the suggested approach is it may be necessary to run some noise reduction on the original and then use AI clear for some improved sharpness and cleanup. I submitted a request to tech support three weeks ago and have heard nothing - is this forum the only way to get help with Topaz products? You should have received at least an acknowledgement to the email address you supplied when you raised the Technical Support request, just reply to that and see if you get any response. Remember this is a user to user forum and Topaz Labs will not ask for a image to be uploaded here, just on your support request if necessary. I did receive an automated reply but nothing more until today, after posting to the forum. I know they do have a backlog as I also received an email reply for one I had raised last week. Thanks, but I'm not sure what good that would do because every high-ISO file that I've tried has the same results. It seems likely to me the problem is not with the raw files but some combination of the hardware and software I'm using that triggers the odd behavior. Anyway, I just heard from Joe Fedric who says they are aware of the problem and are working on it. I'm very surprised at your comment that AI Clear is not meant for images with strong noise, since that's exactly what it's marketed for. Except not? None of their demo images on the website show strong noise, mostly medium to low noise. as well as enhance details in your images automatically." and that sounds about the most correct. Even in their specialized noise product: https://topazlabs.com/reduce-noise/ which has "Reduce" in it's name (and works quite well with your image, btw) they jump between "reduce" and "remove". As far as I know initially AI Clear was built to do exactly what is stated above, but sounds like most users expected it to deal with much more image noise, so the Medium and High models were added (relatively recently). I'm sure they will keep on "training" them and improving the results. For what it's worth I tried AI Clear with the image you attached here and did not get splotches of noise throughout the background, but several spots on the edges weren't perfect. Might be due to the resized image. And I do it somewhat differently with a noisy raw or jpg image. Straight to Ai Clear and then decide on whether to use a Low, Medium or High setting. If there is not a noise issue I usually take the image and adjust exposure. Generally, unless the original raw file is "super noisy" this will result in a satisfactory image, at least for my taste. Noise is not my biggest issue with Ai Clear, the sometimes dysfunctional sliders are my biggest concern. Larry and Kenneth, thanks for your workflow suggestions. I look forward to being able to try them, but unfortunately I can't do that until the original problem is solved. That is, when I'm working with the image in AI Clear it looks good, but saving the image or returning it to Photoshop creates thousands of visible artifacts. As stated above, Joe Fedric has told me that Topaz is aware of the problem and is working on a solution. As far as I know initially AI Clear was built to do exactly what is stated above, but sounds like most users expected it to deal with much more image noise, so the Medium and High models were added (relatively recently). I never expected miracles, and I probably shouldn't have used the word "noise" in the heading on this thread because it gives the impression that I'm not happy with AI Clear's noise-reduction ability. In fact, I'm very happy with it - but only when I'm looking at the image in Topaz Studio. 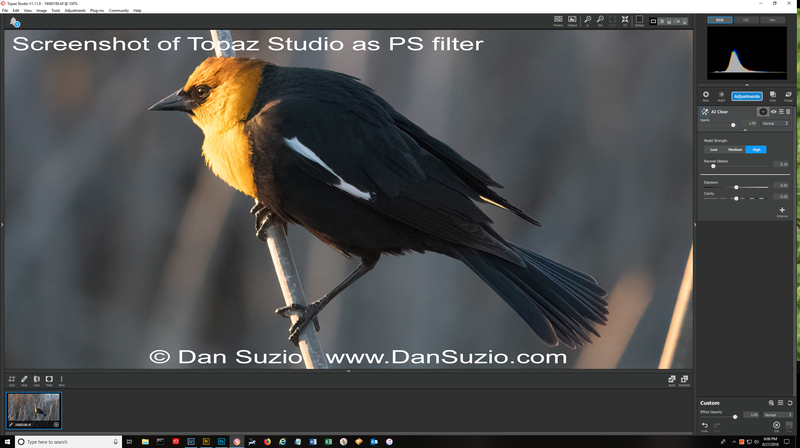 Saving the image or returning it to Photoshop causes artifacts to appear that are not in the original image and not visible from within Topaz Studio. That seems like a bug, and it's something that Topaz says they are aware of and working to fix. I'm not bothered by the language switching between "reduce" and "remove" because I don't expect any noise-reduction software to be perfect. 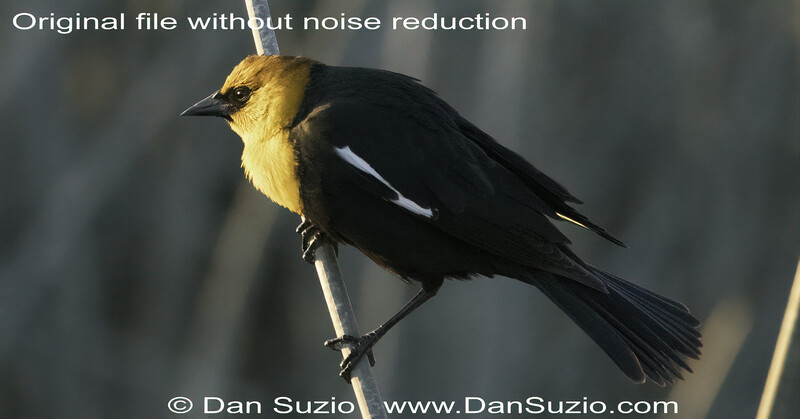 But I am a little confused about the differences between the noise reduction products. Other than the ability to run as a standalone, is there any difference between DeNoise and Reduce Noise? I've been using DeNoise occasionally for the past couple years (as a PS plugin) but haven't looked at Reduce Noise. In your opinion do they produce the same results? In what circumstances would you choose one or the other? Your original file may have been larger but using the original jpeg you posted (obviously the noise should be original too) and going from Affinity Photo to Studio then running AI Clear on High (medium didn't do that much) and then back to Affinity, I got good results. I'm posting it here, though it was compressed again. Other than the ability to run as a standalone, is there any difference between DeNoise and Reduce Noise? As far as I understand the new products, which are not standalone, use GPU acceleration and in theory might be faster. But then denoising is quite a quick process anyway so if you have the original DeNoise (which is a really good noise reduction product) and prefer to use it as a plugin in a graphics program of choice there's little reason to go into Topaz Studio just to use Reduce Noise, for example. Saving the image or returning it to Photoshop causes artifacts to appear that are not in the original image and not visible from within Topaz Studio. That seems like a bug, and it's something that Topaz says they are aware of and working to fix. Yeah, I wrote that before testing the image thinking that perhaps it just confused the AI Clear algorithm with a lot of noise, but of course that is a bug of some sort. If we look at the noise patterns it looks like they have a pixelated low resolution mask to it, everything falls into these little squares. But also, as Artisan-West's image shows (same result as I got) there's some room for improvement even when it works correctly - several spots have noise - between the claws, eye, back of the head, tail. So that's something where the AI model needs more training. We're investigating the artifacts being introduced when saving from Studio and using A.I. Clear. We don't have a fix yet, but we will address it as soon as possible. Thanks!